When automakers move to inductive charging for their electrically powered cars, what will they call plug-in hybrids? Park-over hybrids? Magnetic-charge hybrids? Magic hybrids? Clearly, I am not a branding guy. This branding dilemma is one, it seems, Volvo’s marketing team will likely tackle sometime soon, as the Swedish automaker has just completed a successful inductive charging study on its C30 Electric – with impressive results. The tests demonstrated that the Volvo C30 Electric can receive a full inductive charge in just over 2.5 hours. This is rather incredible if you think about it. The 120-horsepower C30 Electric – with a range of around 94 miles – normally takes all night to fully recharge on a 220v outlet. By my approximation, wireless inductive charging represents a charge time reduction by more than 60 percent. Although Volvo has completed a successful and promising inductive charging test run, other companies are instead testing out other wireless chargers. Hevo, for instance, is testing a wireless resonance system, rather than inductive. Hevo believes that resonance is a more efficient alternative to inductive charging. 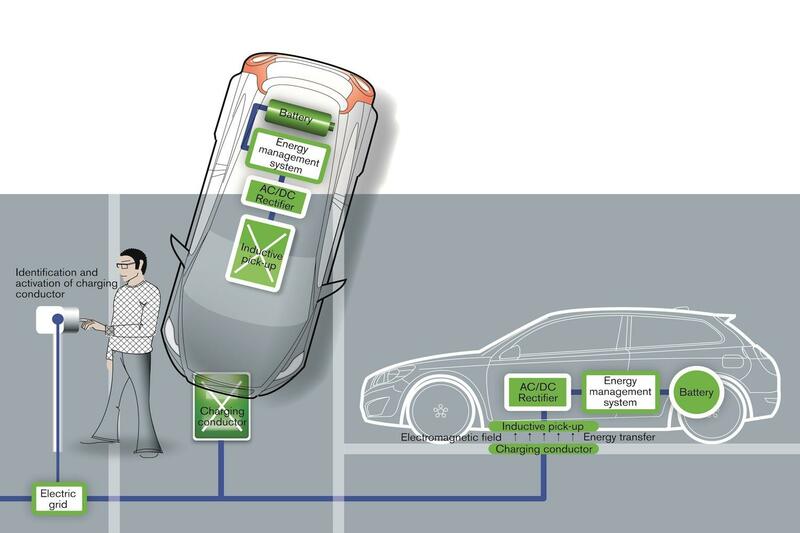 In resonance charging, unlike inductive charging, coils – in both the vehicle and the charger – are connected to capacitors. These capacitors resonate at a specific frequency. This allows for a more efficient transfer of energy at a higher rate than inductive. It’s exciting to learn that even inductive charging can transfer energy not only with less effort than a corded system but also more quickly.